Expand search to view more listings in and around Cerritos. 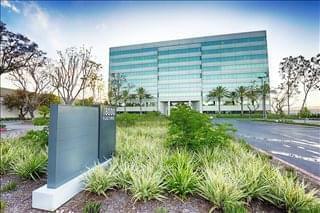 See more offices in and around Cerritos. At Offices.net we have 2 offices located in ideal Cerritos business positions, offering office suites in a range of sizes and configurations. With short term and flexible rental agreements, your company will have all the benefits of an enviable business address in Cerritos, California including a wide range of support services and amenities, without the usual commitments of a conventional office space lease. Cerritos' economy is based mainly on the retail industry. It also is involved in the manufacture and assembly of automatic and electronic parts. The employment of the city is located in two districts, the Los Cerritos Shopping Centre, which comprises the retail industry, and the Cerritos Industrial Park, which provides the manufacturing revenue. Large companies that have headquarters in the city include Bunn-o-Matic Corporations, Xerox, Delta Dental and Memorex. The city has an extensive freeway network and it is served by Los Angeles International Airport, Ontario International Airport and the John Wayne Airport, among others. Cerritos is an appealing option for companies looking to open new offices or relocate business premises. Regardless of the size of your company or what specific requirements you have, Offices.net has an wide selection of offices to suit your needs in Cerritos, California. With flexible contracts and a range of professional business support services and facilities included, the above listed Cerritos office space is ready and available to suit you. Many of the offices we list offer a wide range of business support services which include telecommunications set up, internet and network wiring, professional manned reception and office administration personnel and, in some cases, IT support staff. On top of this, many of the business centers also provide spacious conference and meeting room facilities with video conferencing, free car parking, kitchen areas and, in some cases, even onsite gyms. 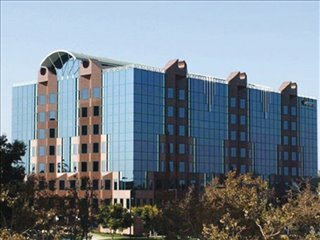 Simply choose any of the Cerritos offices for rent listed on this page. All of the office space and business premises are available on temporary rental terms to suit your requirements and are located in prime Cerritos business positions. As well as the office space listed above, we also provide a wide selection of executive office suites in prime business locations in other cities in California, available on flexible terms to suit your company's needs.